Two years ago, David Wheeler, assistant professor of journalism, got his first clue that his profession was under fire. A fellow traveler seated next to him in a plane asked him what he did for a living. “I teach college journalism,” Wheeler replied. The man responded immediately by holding up his fingers in a cross, as if he was trying to ward off Dracula. That response was a far leap from when Wheeler first fell in love with the field as a 12-year-old playing an anchor on a Saturday morning kids’ news show on the local CBS affiliate in Huntington, WV. 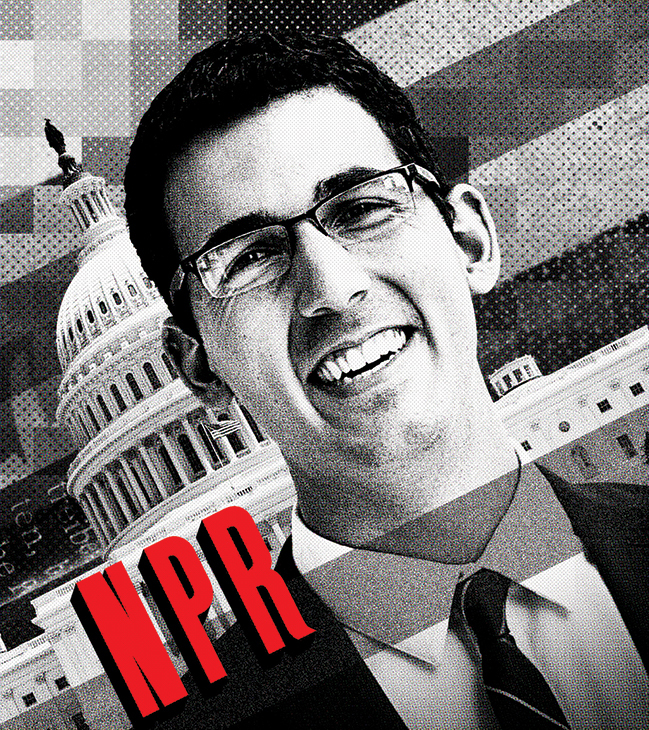 Miles Parks ’09 is a reporter and producer on National Public Radio’s Washington desk, covering election interference, voting infrastructure and breaking news. Given today’s climate, the high-profile beat is intense and exhilarating — a challenge he embraces. Read more in the UT Journal. That sinking public opinion isn’t the only challenge journalism is facing these days. Other issues: Plunging advertising revenues. A shift in readership trends. The lightning speed of digital platforms that makes traditional forms obsolete. The sheer volume of news available on demand at the reader’s fingertips. Perhaps most dramatic is the shrinking job market. Newsroom employment across the United States continues to decline, driven in large part by job losses at newspapers, according to a Pew Research Center analysis of federal labor statistics. From 2008 to 2017, newsroom employment in the U.S. — which includes newspapers, broadcast television, radio, cable and other “information services” — dropped by 23 percent. Newspapers took the biggest hit, with employees dropping by 45 percent over that period. In the meantime, journalism professors like Tripp and Wheeler have to adjust their teaching goals to get students prepared for a rapidly changing profession. Some basic skills remain constant. Among them: Excellent storytelling, critical thinking, an inquisitive mind. Now other objectives are on the curriculum. Future journalists no longer follow a print or broadcast track. They are expected to learn multiple modes of media so they can tackle it all: writing, producing, editing, graphic designing, and shooting video and photos. They have to understand technology, algorithms, content management, search engine optimization and all forms of social media. With a 24/7 news cycle, they need to learn how to feed brisk, accurate reporting to several platforms. Wheeler says there’s no question that young reporters are being asked to take on more responsibilities and skills than ever before. But he thinks the expectation that you have to do it all equally well has tapered off. All those skills must include fact checking, which is a challenge these days with so much access to material. That mission of fair and balanced reporting is both taught and practiced by Wheeler, who is also a freelance contributor to CNN, The Atlantic Monthly and other publications. Wheeler recently shared with his students an email he got from an editor at The Atlantic about one of his stories: “As for the tone, some of it still has an undercurrent of moral outrage at schools’ practices and suspicion of their objectives.” That shows mainstream media does care about covering both sides and keeping stories objective, he says. Wheeler applies that same code of balanced treatment with his students. He’s had a handful of students in his classes who arrive with a mindset that the news media is biased, corrupt or even evil. He makes it known that everyone is welcome, and there are high-quality news outlets for all sides of the political spectrum. It’s hard to predict where the journalism jobs will be in five years. Wheeler believes economic conditions, the technological environment and human nature will shape the profession’s future. And in his own experience at UT, where students aspire to work after graduation is following national trends. For the last three out of four years, newspaper reporters have earned a title they really don’t want: The worst job in America. That’s according to CareerCast, an online job-search site that bases its rankings on several factors, including job and wage growth, stress and environment. So why would a student choose to study journalism? 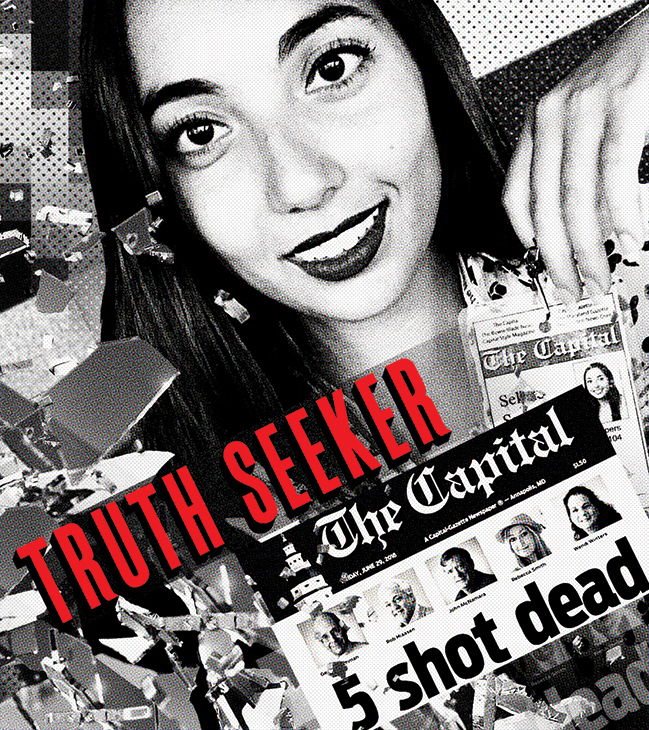 In her senior year, she’s already getting a taste of a professional journalist’s workload. Besides taking three courses, she’s also the editor of The Minaret and works 20 hours a week at the Tampa Bay Times. And though her first love is writing for print, she’s embraced the reality that to get a job, she has to be a jack-of-all-trades. In her mind, there’s a common goal for all journalists, no matter the platform. Also daunting is the inarguable reality of her field’s economic challenges. In her short tenure at the Times, she’s already witnessed two rounds of layoffs. She’s seen colleagues working hard at their craft one day, and their empty desks the next. It’s not all doom and gloom. At UT, the number of declared journalism majors is at an all-time high of 53. And nationally, observers see a trend in public support for enterprise and watchdog reporting. Wheeler isn’t worried. He’s actually quite optimistic for the profession’s future, judging by the energy, enthusiasm and optimism he’s seeing in young journalists, both at UT and at a national College Media Convention he attended in October. Selene San Felice ’16 said she has no regrets about getting a journalism degree. In December, San Felice, who with the staff of the Capital Gazette newspaper and four other individual journalists, were named TIME magazine’s 2018 Person of the Year. Read more in the UT Journal. It’s not that the students are looking through rose-colored glasses. They’re aware it’s a field in flux, but the core mission is still intact. Mauricio Rich ’19 does not take democracy or free speech for granted. He’s from Venezuela, where the news is controlled by the government. Most uncensored information is passed through social media. Journalists who opt to stay are regarded as heroes for their work under watchful eyes and scrutiny; others have fled and report about the country’s affairs from abroad. He picked UT for college because of relatives living in nearby Clearwater. He’s taken advantage of every opportunity possible to expand his bucket of skills, from serving as managing editor at The Minaret to working as an executive producer at UTTV, the student-run television station. Off campus, he’s an intern at Univision, the Spanish-language network. Rich is more concerned about getting a work visa to practice his craft outside his home country than he is about the job market. If you’re prepared and willing to tackle anything, the work is out there. Though he aspires to be a sports producer one day, he also embraces politics, economics, education and travel reporting. Given the current political climate in Venezuela, he says it’s unlikely he will seek a job there once he graduates. Now that he’s lived in a country where freedom of the press is a constitutional right, it would be too difficult to work in a place where it wasn’t. With the negative attention put on journalism these days, Rich says he’s also been on the receiving end of positive feedback and gratitude, which makes it all worthwhile. This story ran in the Winter 2019 edition of the UT Journal.